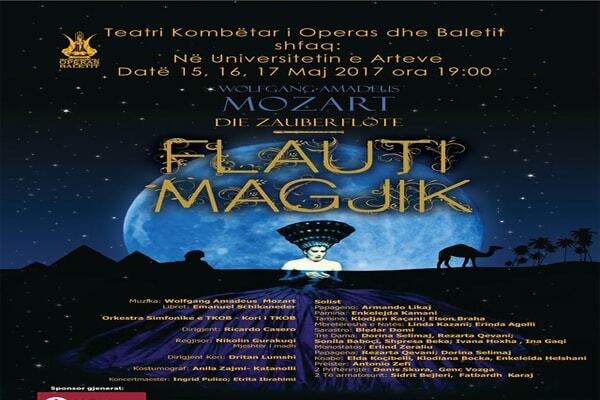 National Theater of Opera and Ballet of Albania, will presented on May 15, 16, 17, at 19:00, in the hall of the University of Arts, the opera "Magic Flute". The masterpiece of Mozart blends myth, magic, and a variety of wonderful music to deliver the message that love conquers all. Tickets can be found at the desk of the University of Arts, and online at www.myticket.al.